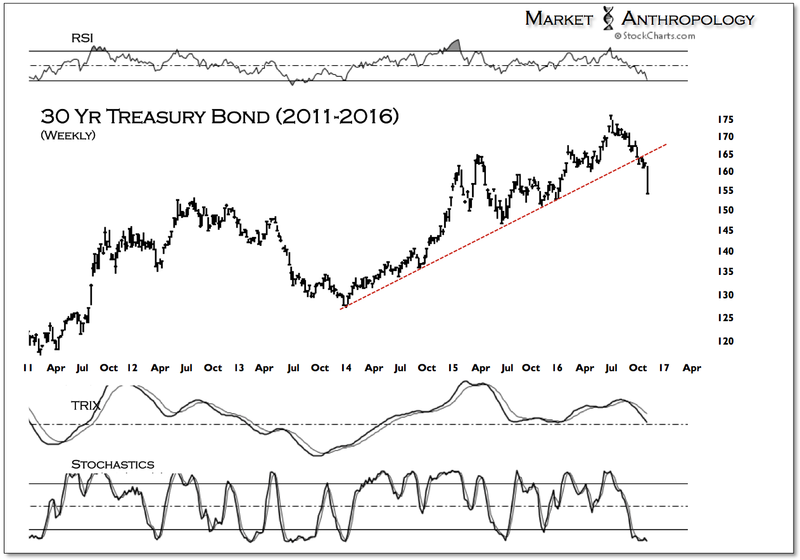 While the list of US money managers pivoting bullish last week on the US economy and equity markets reads like a who's who list of hedge fund titans, the broader reflationary trend that had displayed cracks in its foundation last month (see Here), once again began to quake and break down. 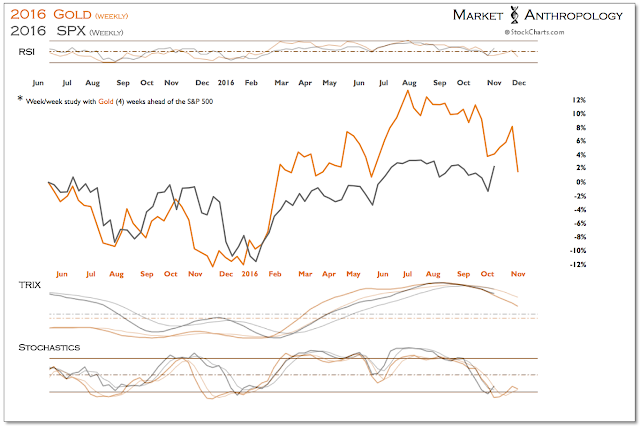 The main forces at work cleaving performance within the markets were longer-term Treasury yields and the US dollar, the impacts of which were mostly absorbed by US equities to date – while emerging market stocks, precious metals and commodities took the full impact of a much stronger dollar and surging Treasury yields. 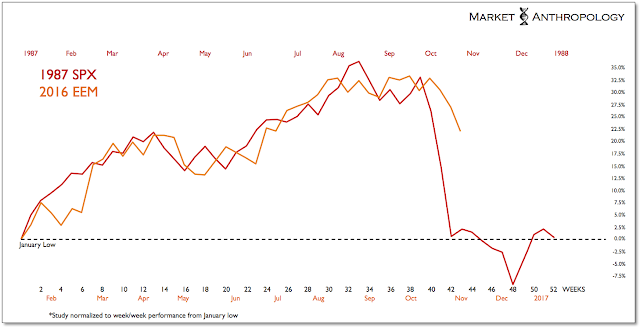 What's interesting and perhaps lost or largely ignored over the short-term, is that although many strategists and managers now see an intermediate-term catalyst for US equities and a rejuvenation of inflationary forces here in the US – emerging market stocks that had significantly outperformed within the wider reflationary trend this year, now face a clear and present danger as yields break materially higher and as the dollar targets its highs from last year. 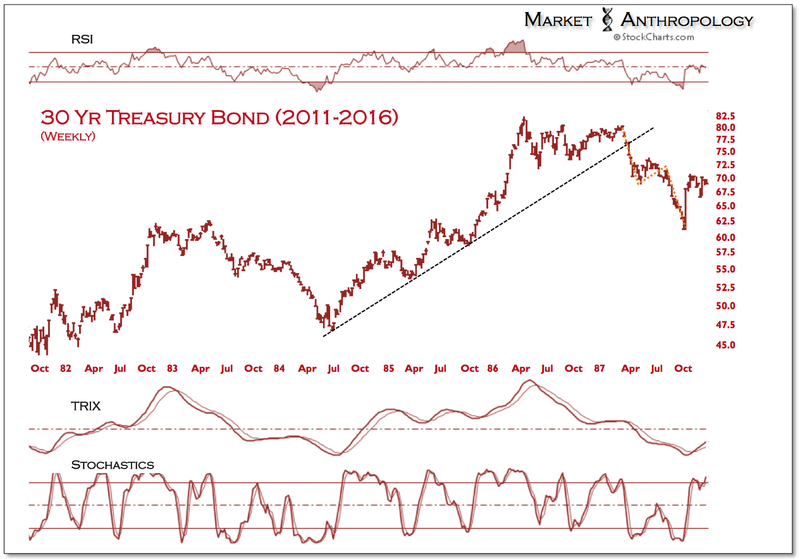 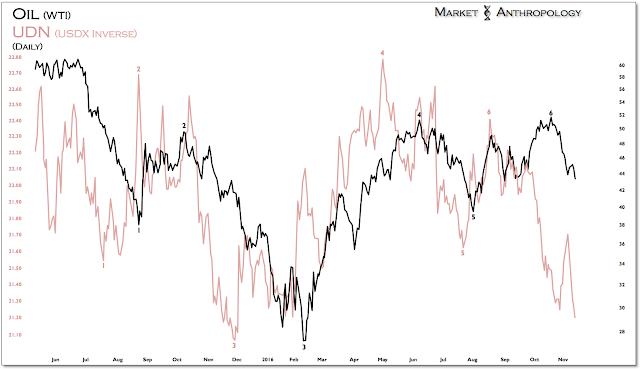 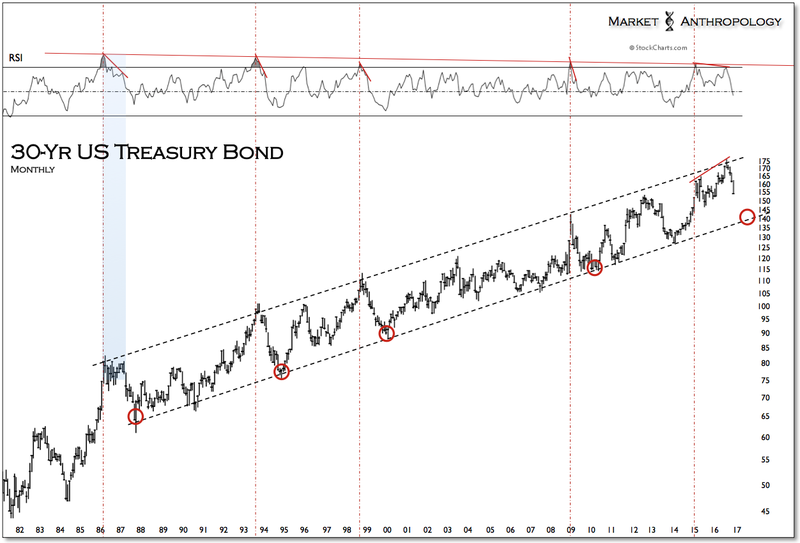 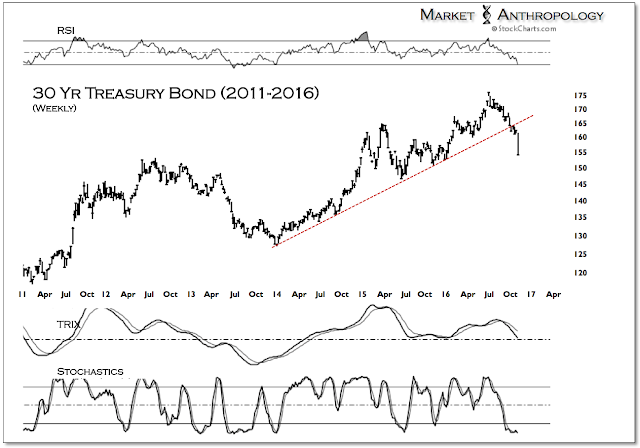 Our comparative with the 1987 breakdown in long-term Treasuries would indicate a near-term low is imminent of a first leg down within a broader ABC corrective decline. 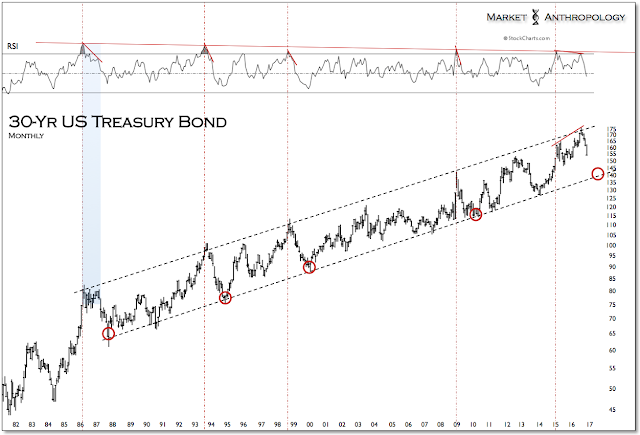 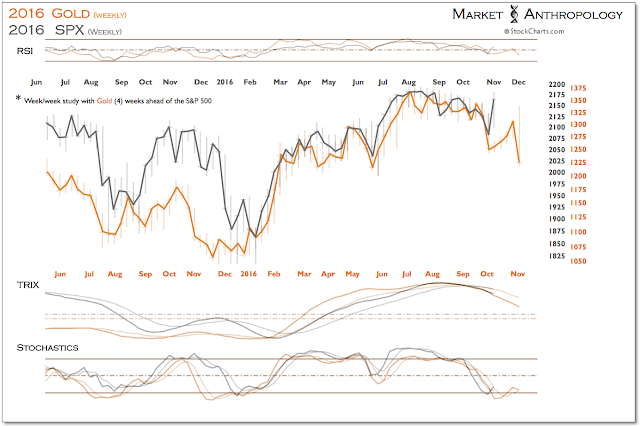 We estimate this pattern would work out to an eventual target for the 30-year Treasury bond of around 140 next year. 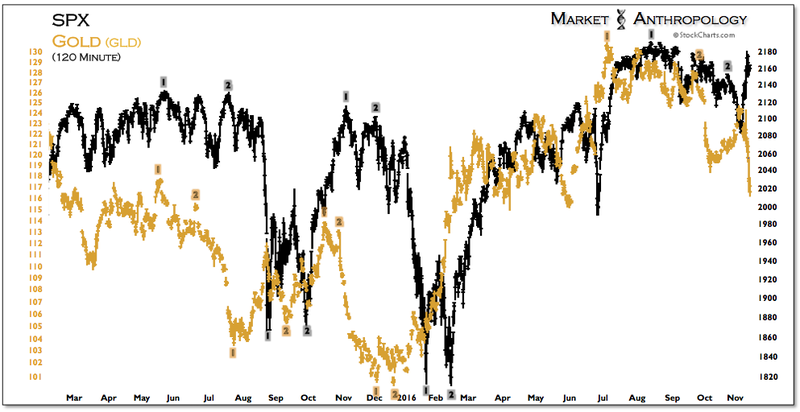 Considering the recent intermarket developments, we continue to like the protection of a short position in EEM, that is still loosely following the breakdown of the reflationary outperformance of US equities in late 1987. For more on our thought process behind this position, see Here. 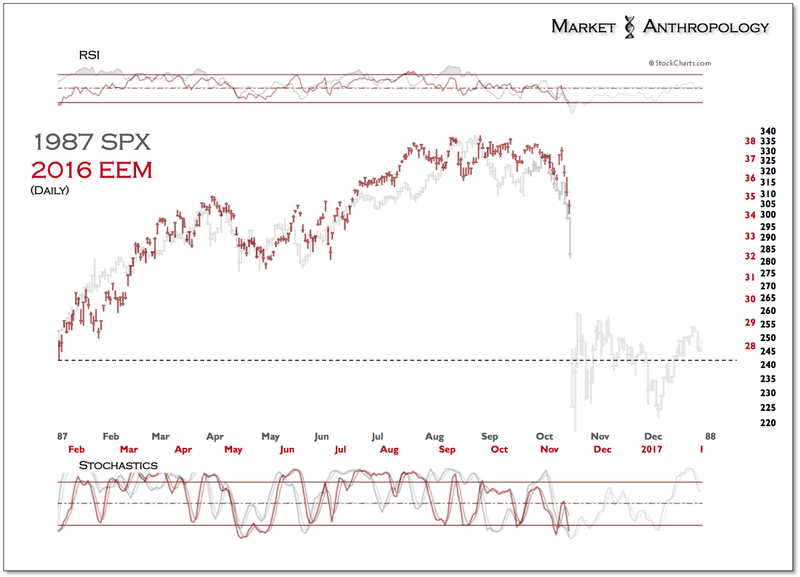 While we never expect history to repeat in perfect cadence or proportion, intermediate-term support was broken last week that from our perspective points to further declines. This negative outlook also applies to oil, that continues to follow the inverse performance of the dollar, which is now targeting its highs from last year. Although US equities came up a bit short in open market trading of our corrective decline target of around 2050-2060 in the S&P 500, we still think it warrants following the leading pivots in gold that now suggests another leg lower is approaching.